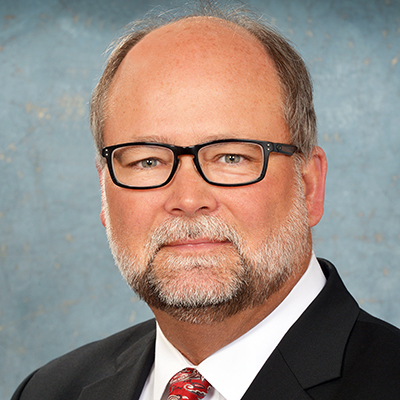 Former Michigan Senate Majority Leader Arlan Meekhof says the government is “good” at building infrastructure and money for utility lines in Salem Township will create jobs. Former Michigan Senate Majority Leader Arlan Meekhof has come forward as the advocate behind the controversial, $10 million grant to bring utility lines to a district more than 150 miles away from his own. In doing so, Meekhof, R-Grand Haven, partially answered the riddle of who advocated for the grant, on the last day of the Legislature’s session in December, to bring water and sewer lines to land near Ann Arbor owned by a company headed by Bobby Schostak, a former chairman of the state Republican Party. “We believe there’s economic development that needs to be done and that’s what government (is) good at -- building infrastructure,” Meekhof told Bridge Magazine this week. The grants are to allow Salem Township to develop water and sewer lines on land along M-14, where Schostak’s real estate company owns 560 acres of largely vacant land. The firm, Schostak Brothers & Co., Inc., wants to develop a commercial complex there and build nearly 800 homes. What remains unanswered is how a West Michigan politician became the primary driver for the $10 million grant – another $10 million grant was awarded in 2017, also with no apparent advocate – for a project in southeast Michigan that local leaders opposed. “I've never seen a situation where you have an outstate, distant elected official champion a project like this especially with the dollar amount involved,” said Kurt Heise, supervisor of neighboring Plymouth Township and a former state representative. His township is worried about the impact the development could have on Plymouth Township. Meekhof, whose support for the project was first reported by Crain’s Detroit Business, did not tell Bridge Magazine who asked him to include the grant in a larger spending bill. “It’s been floating out there for a while,” he said. When pressed by Bridge about how the project came about and why it was added in the early morning hours of Dec. 21, Meekhof did not offer any specifics. Local legislators, who are Democrats, have said they did not push for the grants and did not know who was advocating for them. Michigan Sen. Jeff Irwin, D-Ann Arbor, says there are better uses for $20 million than building utility lines to help a private firm build a subdivision. State Sen. Jeff Irwin, a former state representative who was not in the Legislature in December, said he has been troubled by the grant and is looking into it. "Twenty million dollars over two years as a favor for a project that does not seem to have public support is appalling," the Ann Arbor Democrat told Bridge. He said it was not an acceptable use of state money, even for economic development: The state could have used that money for other, more public purposes, he said. "How many blighted homes in Detroit could be demolished? How many lead service lines in Flint could be replaced?" Irwin asked. "Ten million dollars is a significant chunk of money that can contribute to society in a big way." Bridge reported last week the grants are unique among those awarded in the past two years because they lacked a legislative sponsor. Almost all others had them, including several from Meekhof. But on a grant form supplied to the state budget office the spot for “legislative sponsor” was blank on the grant tied to Schostak. Meekhof told Bridge he was not lobbied by Bobby Schostak or anyone else but did not say how it came to be something he’d champion. 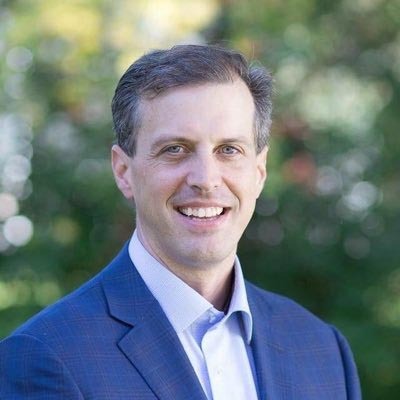 Schostak was chairman of the state GOP from 2011 to 2015 and remains a vigorous donor to the party and political candidates. The Schostak family’s political action committee has donated $5,000 to Meekhof’s political campaign over the years and has been supportive of Republican leadership for a long time. The December grant was unusual, both because it happened during lame duck but also because the state typically doesn’t fund infrastructure for commercial and residential development. The award had not gone through the committee process and even the township itself hadn’t asked for the money. One official in a neighboring Washtenaw County township has asked for an investigation into the grant process, while other legislators have criticized the use of state grants to aid private development. But until Meekhof took credit, no one would admit to being the project’s No. 1 advocate in the legislature. The $10 million grant was part of a package of grants tacked on to a $1.3 billion spending bill tied to another piece of legislation that then-Gov. Rick Snyder wanted to pass. The grants helped secure a handful of necessary votes, legislators told Bridge. The Salem Township grant was among the two largest (another $10 million grant was awarded to a research facility at Willow Run Airport that is studying driverless vehicles). Most of the grants were far smaller and fund community projects such as health clinics in Detroit, bridge work in Alpena, a children’s science museum in Grand Rapids and environmental work in the Upper Peninsula. Meekhof, who represented a district hugging Lake Michigan, said the Salem Township utility lines will be a boon to economic development and bring a “return on investment” for the township in terms of taxes. “We were happy to invest in it,” he said. The Schostak company has long sought government grants to build the utility lines. In 2009, as the Obama Administration put together its massive economic stimulus package to ease the pain of the Great Recession, Schostak Brothers asked Salem Township officials to request federal grants to cover cost of the water and sewer lines. Most water and sewer projects pitched for the American Recovery and Revitalization Act were for improvements to existing lines, engineers told the township board, which declined to seek the grants. That prompted the Schostak firm to take the township to arbitration, saying it was hindering the project. Gary Whittaker, the Salem Township supervisor, said he remains mystified by the funding. The township has spent $1 million of the first $10 million grant and he isn’t sure how quickly it can spend the balance of that one and full $10 million of the second. Though the township did not seek the money – it has always said the area could be developed but at the developers’ cost – it will work with the state to spend it and install the lines. But Whittaker doesn’t know how the township has received the money it didn’t ask for. "I don't how they do things but we'll see what happens next," Whittaker said. "I'm certainly not one who understands how it works." Schostak previously told Bridge the company approached unnamed state officials about the grant, which it views as an economic development tool. “We raised (the grant) as an option with state policy makers and appreciate their support for this kind of infrastructure and economic development project that can help strengthen the community and support families and schools,” he wrote in an email to Bridge. Some enterprising journalist should look into the connections between Mr. Meekhof and the lobbying firm Kandler Reed Koury and Muchmore, who represent Schostak's development company. Despite Meekhof's denials about being lobbied for this appropriation, the Kandler firm would be more than negligent if they had not lobbied the then majority leader and his staff to secure this budget item. Why else would Schostak have hired them? Ahhh, Muchmore - seem to recall that name from the original Nestle deal. One Muchmore was Snyder's Chief of Staff married to the other Muchmore who ran Nestle Communications in Michigan. How MuchMore of this Corporate Control will the Mitten put up with? Just follow the money. I'm sure we will find it in the pockets of either Meekhof, Schostak, or the Republican Party. "“I've never seen a situation where you have an outstate, distant elected official champion a project like this especially with the dollar amount involved,” said Kurt Heise, supervisor of neighboring Plymouth Township and a former state representative. His township is worried about the impact the development could have on Plymouth Township." Right off of the top of my head, back in 2012, republican Sen. Tom Casperson introduced legislation saddling Southeastern Michigan with the boat anchor also known as the RTA. Casperson lives in the U.P. There's more, but to save me time, legislators with no vested interest, usually have an ulterior motive for their "concern" over a particular issue that they normally wouldn't care about otherwise. As for why the sponsor is left blank, well that shouldn't come as any surprise to anyone. Former legislators with some pull always seem to find lucrative employment after they are termed out. Randy Richardville "consulted" for the Boji Group (do a keyword search for "Capitol View" to see how THAT happened). Tim Grimmel is working as an LD for AFSCME. Rick Johnson and John Cherry signed on with Dodak, Kelly & Associates after leaving office. That lobbying firm has a fairly impressive client list. Following the money (or recent "job" hiring), will put you into the ballpark of who put that grant in the hopper. Didn't SE Michigan want the RTA? I believe it did. That's a big difference, for one, Kevin. If Southeastern Michigan really did, Mr. Wilkinson, then it would've been voted in by now. The end result clearly speaks for itself. Doesn't it strike you as odd that a state senator from the U.P. felt it necessary to introduce legislation for an area of the state the he does not represent? The SAME Casperson who was prominently mentioned in an FBI wiretap of Gasper Fiore not too long ago? Then Governor Engler renewed the state EDS IT contract without requiring bids shortly before leaving office, when he then became an EDS employee. One of Engler's techniques for keeping Republican legislators inline was to find them jobs once they were out of office and refuse to help them find work if they didn't vote his way. Follow the money. Many have found ways to leverage public office into lucrative after-office jobs. I rarely agree with you but thanks for telling it like it is. Thanks. Wasn't it Rick Johnson who was the driver for the Brooklyn Hydro Corn Fuel Plant Grant about eight years ago? Well Brooklyn seen where that went fast , it went SOUTH causing the Village of Brooklyn to the tune of $238,000 balance of loan to pay off! If the township didn’t ask for, doesn’t want the money, then why not refund it? Imagine Flint having such an advocate. Funny how the apropreations chair in the house is Laura Cox and this budget item passed though her committee. Her district abuts this area where this property is located and all of a sudden she’s the odds on favorite to be the next republican party’s chairperson for Michigan. Is it a coincidence or a payback from the former chairman Bobby Schostak??????? I looked it up. There is one grade school in the township. Also, there is a Salem Twp in Allegan county, just south of Ottawa county where Meekhof's district is. Maybe he got confused. I misspoke in my previous commitment. Schostak was the one claiming that his proposed development would "help the schools." If government is good at infrastructure, then the roads would be fixed. Why “grant” funding for a new concern (that mostly benefits a private concern) when you cannot maintain existing infrastructure (roads etc. ), which benefits all? A grant through MEDC or the Michigan Strategic Fund is just as offensive to taxpayers. Anyone up for a Constitutional amendment to prevent secret deals and spending restrictions? Is Meekhof "taking credit" or getting in front of a story that merits far more scrutiny. His quotes in this piece about the importance of "economic development" betray his profound ignorance about the historical resistance to development in Salem township. Of course Laura Cox, Rick Snyder and officials in Treasury would all have been involved in this greedy raid on the public trust -they pulled the scam twice! I believe that if term limits did not exist, and Meekhof could run for reelection, he never would have been involved in this monkey business knowing it would damage his chances of keeping his seat. Because he had used up his allotted time in the Michigan legislature, he felt free to engage in a questionable activity, knowing it would not adversely affect his career as a lawmaker. This is a great example of why term limits in our legislature are so necessary. Fortunately Meekhof is no longer a legislator due to term limits because he was probably the state's slimiest ones. Now we need to get rid of lame duck sessions that allowed scumbags like Meekhof to use the legislature to serve themselves even with no accountability. I totally disagree with the first part of this comment. This kind of cronyism and back door dealing is exactly why we need to get rid of term limits for our legislators, or else lengthen them considerably. The current system enables and rewards this type of behavior, largely because our "public servants" too often are focused on their next job -- which all too often means doing things that provide zero benefit to their constituents -- rather on doing what is best for their constituents and the state as a whole. I don't agree with those who want to get rid of term limits, maybe lengthening terms in office though. The example being is that Meekhof comes from Ottawa County, which votes 80% republican, highest in the nation. If term limits couldn't have gotten rid of him, he could have been in office until he died, since republicans there would never turn him out of office. So, Meekhof if still in office, would be able to apply his corrupt trade for many years to come. As an example of the dominance of republicans in the Ottawa County, this past November elected democrat Doug Zylstra, the first democrat to serve on the Ottawa board of commissioners since 1970; that's 48 years folks. And the people of Flint still have no clean safe water. Unbelievable. Cronyism at it's best. Arrogance while jamming tax dollars into their pockets. You guys make me sick. Is there any relief for the citizens? Can this evil clown wind up on the unpleasant end of a lawsuit? I have no doubt the corruption here is substantial, it often is in the land development realm. This, of course is quite extraordinary. The bigger picture, however, is that our public wealth is continuing to be invested in developments that have no future, namely suburban sprawl and big box retail. We knew this was a bad idea 20 years ago, yet we keep doing it, chewing up more good farmland and wildlife habitat, because the developers, builders, zoning officials, banks, are used to it, and would rather keep polluting the landscape with cheaply-built subdivisions and 5 acre parking lots than being thoughtful and learning something new. If this development is such a good investment, and in high demand, why not make the developer front the cost of the infrastructure and pass it on to the buyers. Certainly they can still make a healthy profit, right? And its not just the water / sewer, it will be the other utilities, road and traffic signal improvements for the thousands of new car trips on the road every day, lost habitat, lost farmland, increased congestion... Why do we the people have to keep subsidizing sprawl? What kind of ethics have steered our course? This is part of the sales tax due to come in from internet sales, four 4 cents on the dollar of sales are earmarked for education. This is another lottery type shift to give general fund dollars back to the general fund for this type of boondoggle. Does anyone in office really care about education? You have to figure out the question. . .
We do need to fund infrastructure - our roads, bridges and sewers are falling apart! We need to fix the existing infrastructure, not support greenfield development that can be paid for by private developers! That explains why he shut down all talk of making the legislature part of FOIA. I thought it was some odd, philosophical approach that I couldn't understand, not just his own graft and pay-off he wanted to keep covered up. The definition of 'crony capitalism'. SPARK and MEDC are just vehicles for this - to give it the appearance of being legal and ethical. Just look (though both make it as difficult as possible) who gets the money for what. I've said it here multiple times, but it can't be said enough: The illegal things our elected officials do shouldn't bother us anywhere near as much as the legal things they do. Too often, "the law" is used simply as justification to commit acts the vast majority find reprehensible. "Everything we did was legal" is the call of those who either paid or were paid to eviscerate with a few strokes of a pen what theretofore had been illegal. I always say it may be legal but it's not just. We're turning our thermostats back while they're embezzling money out of the state treasury? Oh no! Special prosecutor, pronto. Koch and GOP Political Gerrymandering in Michigan cannot be killed fast enough, let's get going on that settlement, pronto, and clean House, and Senate. As the Supervisor of Superior Township, I speak for the entire township board and the vast majority our residents when I say, “we object and condemn this misappropriation of tax dollars and abuse of the legislative process”. The residents of Superior Township have strongly supported planning that identifies land preservation as a major priority since the early 1980’s. Superior Township has accommodated growth and development within our urban service district for decades; however, at the same time, Superior Township has preserved over 2,500 acres of farmland and open space in a functional way that considers the economics of farming and the rights of private owners. By embracing land acquisition this way, we believe we have balanced the public interest with the interests of private ownership. Now a sewer is being proposed that will cleave through the entire eastern part of Superior Township, north to south, and will no doubt will spur developers and other speculators – like the case at hand - to buy large tracts of vacant land to build out and connect to this new sewer. This is inevitable! No safeguards can be built into the process to protect this land once it is serviced by sewer. Superior Township stands in defense of the last bastion of open space and farmland between Ann Arbor and the Detroit area. No amount of dollars or new tax base can possibly compensate for the loss of this valuable regional resource; and no private developer should be subsidized with public dollars to this outrageous degree without first obtaining the consent of the community that will bear the heaviest burden. Superior Township is working though legal counsel to map a strategy to prevent this sewer from coming through Superior Township without our consent. We are not going to throw our extraordinary success away because a private developer holds the keys to the state treasury . If necessary, we will take our concerns and arguments to the Supreme Court. As a neighboring Plymouth Township resident who is among hundreds/thousands of concerned neighbors to this huge Salem Twp development, Ken Swartz please share how we can help support Superior Township in your efforts to stop this pure waste of $20M taxpayers money. We are gravely concerned of the impact of this development on our roads, traffic, safety, SCHOOLS (overcrowding), water/sewer impacts/backups, and more. There has been no studies conducted to evaluate impacts of this large development either. We are here for you if you tell us how we can help. Looks like we have a mafia state where profit is extracted for the well connected. As long as there is public money there will be parasites. Lansing and its owner needs to be indicted. Government is indeed a racket.